Wienerschnitzel is a chain of quick service restaurants in the United States. The business specializes in hot dogs, hamburgers, and sandwiches. The original restaurants have a distinctive A-frame construction of the roofs. You can find a link for a Wienerschnitzel application by going through the application links at the bottom. The business was founded by John Galardi in 1961 when he opened one hot dog stand in Wilmington, California. The business is still family owned, as a subsidiary to Galardi Group. It’s headquartered in Irvine, California and has grown to nearly 350 locations across ten states. In addition, the company owns one restaurant in Guam International Airport. The restaurants serve breakfast items including burritos, biscuit sandwiches, French toast sticks, and orange juice at some locations. They also serve 15 kinds of hot dogs, two kinds of chili burgers, a Polish sandwich, French fries, jalapeno poppers, five kinds of chili cheese fries, kid’s meals, soft drinks, and Tastee Freez ice cream treats. The hot dog company benefits its communities through events and charitable activities. Their Hot Dogs for the Homeless Tour raised $200,000. The business is also helping Be the Match, which is a charitable organization that raises awareness of the need for bone marrow donors, by partnering with its founders, the McGrath family. The quick service restaurant chain is family owned and does not offer corporate level careers on its website. The company is actively seeking new markets and offers franchising opportunities on its website. If you don’t have a local Wienerschnitzel restaurant, you could bring one to your town. You can apply online at the website for franchise information. The company does not offer in-store or entry-level jobs online. In-store positions in the business include Team Member, Shift Manager, Assistant Manager, and General Manager. 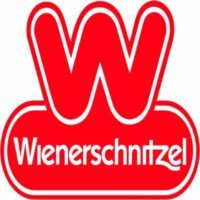 You can download and fill out a printable application for Wienerschnitzel at the website, use the site to find your local restaurant, and apply in person. How old do you have to be to work at Wienerschnitzel? You must be 16 to work at Wienerschnitzel. The company regularly hires young people, many of whom have no prior work experience. Management positions will require some experience. Discuss the job description with your interviewer to be sure you are applying for the right position. Working for the restaurants is beneficial especially for young workers. The company offers job opportunities for inexperienced people in a fun, fast paced environment. Like other jobs in the quick service restaurant industry, Wienerschnitzel jobs provide job experience for the future. Store hours vary by location. Monday through Sunday 9:00 AM – 12:00 AM are typical hours of operation. Team Member – As a Team Member, you would make and serve food and provide customer service at the cash registers, kitchen, and dining areas. Your responsibilities would include cleaning your work area, the dining area, and restrooms. Pay for this position starts at minimum wage, which is at least $7.25 per hour. Raises are possible. Shift Manager – A Shift Manager gets the registers ready for Team Members so they can begin and end their shifts and works alongside the Team Members providing customer service. A Shift Manager is responsible for handling difficult situations that may arise. This position pays a bit more than Team Member, starting around $8.00 per hour. Assistant Manager – As an Assistant Manager, you would lead other Team Members and assign them to work stations. You would also hear the concerns of Team Members and act as their spokesperson to your boss, and vice versa. Keeping track of inventory and supplies is part of this career, as well. Expect pay around $10.00 per hour. Manager – The Manager may or may not be the owner at a particular franchise. This person is responsible for the general operations of the whole restaurant, including hiring staff, ordering supplies, paying vendors, handling customer complaints as they arise, and tracking income and expenditures in the business. Salary for this position is roughly $40,000 per year. Can you work in the country legally? Bring your ID with you to your job interview, and any other documents you may need to prove that you can meet the legal requirements to work in the state. If you are under 18, you may need to get a work permit. What is your availability? The business regularly hires high school students. If you are a student, they will be able to work around your schedule, but you can expect to work a lot of nights and week-ends. Let your interviewer know if you have after school activities, or any other obligations that would affect your schedule. How will you get to work? Your interviewer needs to know that you can reliably get to your job. If you do not own a car, consider bus service, a bicycle, or rides with others. You should know how you will get to work before you get hired for Wienerschnitzel careers. Have you worked anywhere before? The business does hire people who’ve never worked before, and they will train you to do your job the way they want it done. However, previous work experience is always helpful if it was in a similar job. Let your interviewer know if this will be your first job. Do you ever eat here? You are more likely to be hired if you are familiar with the company. If you’ve eaten in the restaurant, you will be familiar with the products they sell and you will have seen the employees doing their jobs. Tell your interviewer what you already know about the business. Show your respect for the company and your interviewer by arriving on time for your interview. It won’t be necessary to wear a suit, but you should be clean and wearing something nice. You will not be able to upload a resume or fill out applications at the website. You will be able to get a Wienerschnitzel application at the website. If you would like to know how to apply for Wienerschnitzel online, go to their website through the link below. You will not be able to fill out the free application online, but you can download application form. You will need to fill out the paper application form and take it to your local restaurant. The direct application process is to get the printable application form from the website and take it to a physical location. You cannot apply for Wienerschnitzel jobs online because the restaurants are individually owned franchises that are in charge of their own hiring. You’ll need to take your application to a restaurant. You may include your resume, if you wish. You can get an online application for franchising opportunities at the company website, but you cannot apply for jobs at Wienerschnitzel restaurants that way. To apply at your local business, download the application from the website, print it, fill it out, and take it in to a restaurant in person.